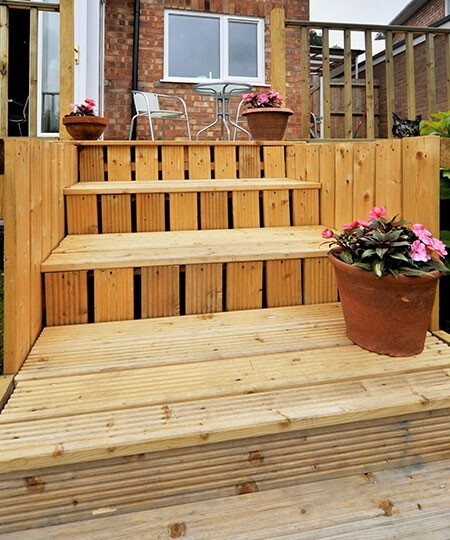 For a practical and stylish way of enhancing your garden, decking is a great solution and, with over a decade of experience helping Sheffield customers, we at M&M Gardening Services are ideal experts to help you make the most of it. 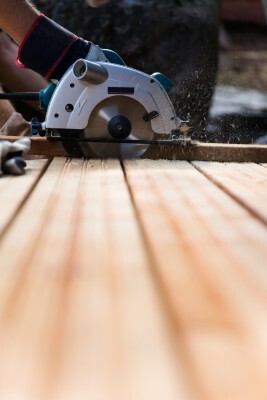 By combining top levels of workmanship and the best in materials, you can rely on us to provide decking that will look good, serve a practical purpose and last years with a minimum of maintenance. Timber decking can help make the most of your garden and overcome situations where you have slopes, uneven surfaces and maybe wet areas. Our wooden decking is designed to last and this is further helped by the use of a clear, solvent based preservative that won't crack or split and that fully protects the wood and provides a natural finish. Along with decking, we can help with other related garden features such as; fencing, pergolas, timber catches, arbours and gazebos. Wooden decking and associated structures are often part of a plan for your garden, and we'd be delighted to help and advise. Having installed decking in many gardens throughout the Sheffield area, we've plenty of experience to draw on so that we can help you. Talk to us today and ask us to come and provide a free quotation on 0114 304 9252.